My current hairstyle is very simple, a side-swept fringe with mid-length hair slightly layered and bluntly cut. I can't say that I'm completely happy with it but I haven't been bothered enough by it to change it. Thanks to these hair extensions from IrresistibleMe, I can now change the way my hair looks length-wise, volume-wise and of course, style-wise! 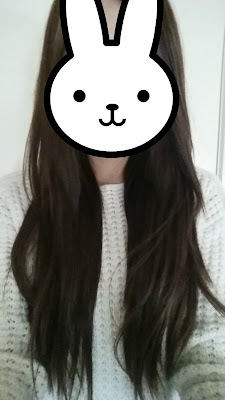 I could also change it colour-wise if I had picked a different shade of extensions. I actually prefer how my hair looks with the extensions in compared to without! 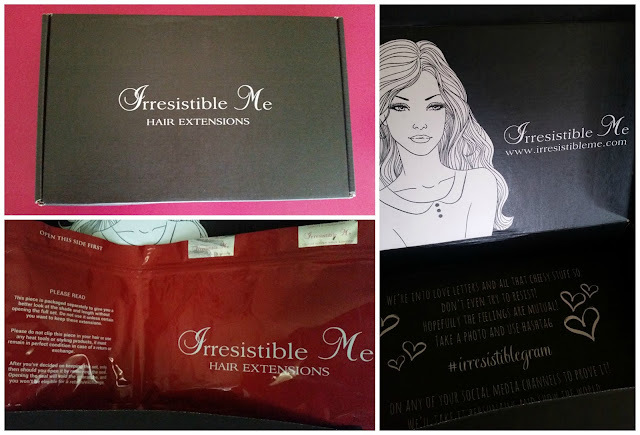 The plastic zip-lock package has two compartments - one with the hair extensions and the other with a separated piece of the hair extensions set. 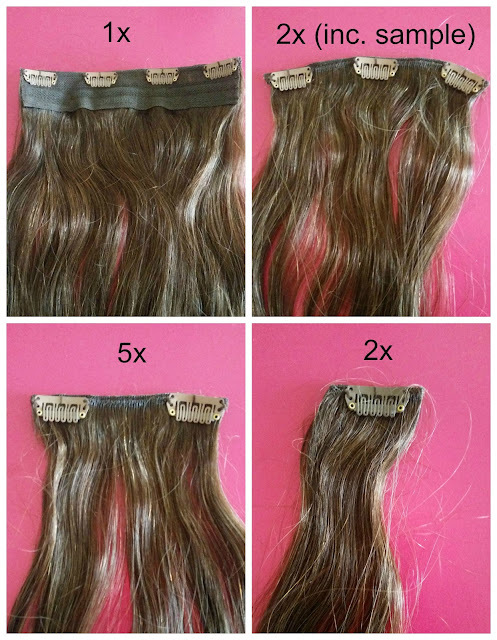 The purpose of this separated piece is to first to check whether it is the correct match for your hair by looking at the shade and the length. 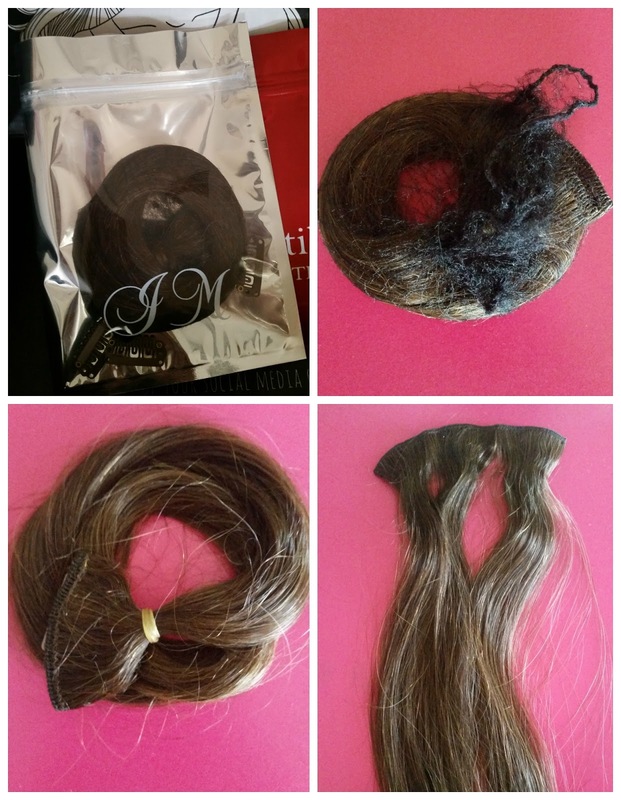 By checking before opening the rest of the hair extensions, this allows for returns to be made as long as the compartment with the rest of the extensions is still sealed. I was honestly surprised to see how closely this matched with my hair, considering that my hair is dyed and not naturally a medium brown. Also seeing as I naturally have black hair, when it's dyed it is quite brassy so I wasn't sure if this shade that I had selected would be the perfect match for me. The 20-inch length with 200 grams of hair was the perfect choice as it blended it well with my blunt-cut hair and gave me plenty of volume. I felt like a superstar with enviable luscious locks! 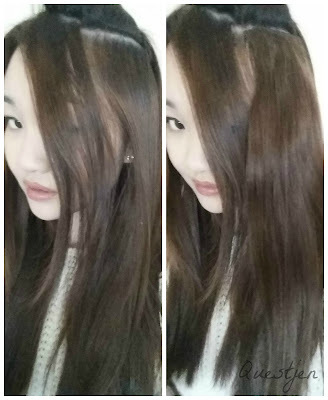 In total there were 10 pieces which I layered onto my hair. The great thing about 100% natural, human Remy hair extensions is that they've been treated to add extra silkiness and durability, and can be heat-styled, washed, cut and coloured. 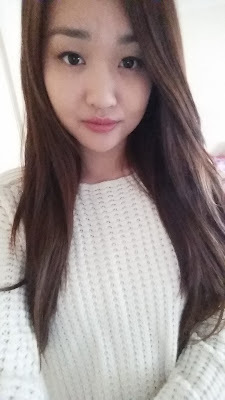 It was as though I had my long hair back, but this time with MUCH more volume and well, generally healthier hair as my ends were sealed and not split! Just imagine how dreadful it would be to have hair extensions with split ends! Disclaimer: Product was sent for consideration purposes. This is not a sponsored post with monetary compensation, nor am I affiliated with the company/ies mentioned in this post. Links provided are not affiliate links. All opinions stated by me are 100% honest and are free from bias. See more at http://www.questjen.com/p/disclaimer.html for full disclaimer.